Better With A Book: Send a book this Valentine's Day instead of a card! Send a book this Valentine's Day instead of a card! Instead of sending a card this Valentine's Day, email a kindle book to your loved ones! Check out the kindle version of Be Mine (A Valentine for Kids Ages 2-102). It's like a cute little collection of valentine cards! I've got tons of friends with kindles and am planning on sending this book instead of a card to share with the entire family! For only 99 cents, it's cheaper than sending a card, it's good for the environment AND it's a book! It doesn't get any better than this! To send this book today, just click on the book icon. It will lead you to amazon.com where there is a "Give as a gift" button right with the purchase buttons. All you need is the email address that is connected to your loved one's kindle! You can even choose a delivery date and write your own Valentine message! It's that easy! I popped over from Twitter. (Thanks for the follow there! 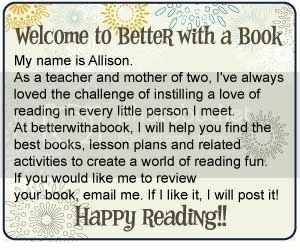 I love to read blogs on children's books, too.) Sending a book for Valentine's Day sounds like a great idea.